The team recently logged two impressive sixth place finishes, first at the always challenging St. Francis regatta, and then this past weekend at Women’s Pacific Coast Championships in San Diego. The Bruins best finishes in both regattas were in B Division, with Leah Ford (’19), Arjun Boddu (’18), and Kylie Sullivan (’17) taking 4th in B at St. Francis, and Laura Roudebush (’18) and Maddy Kuhn (’20) taking 2nd in B at Women’s PCCs. Huge congratulations from all of us at FOUST! Next up, Coed PCCs in Redwood City on April 28th and 29th. Bruins at the 2017 St. Francis regatta. UCLA sailors in race gear. From left: Emelia Pelliccio ('13), Peter Bailey ('15), Erica Parker ('14), Louise Lehman ('14). 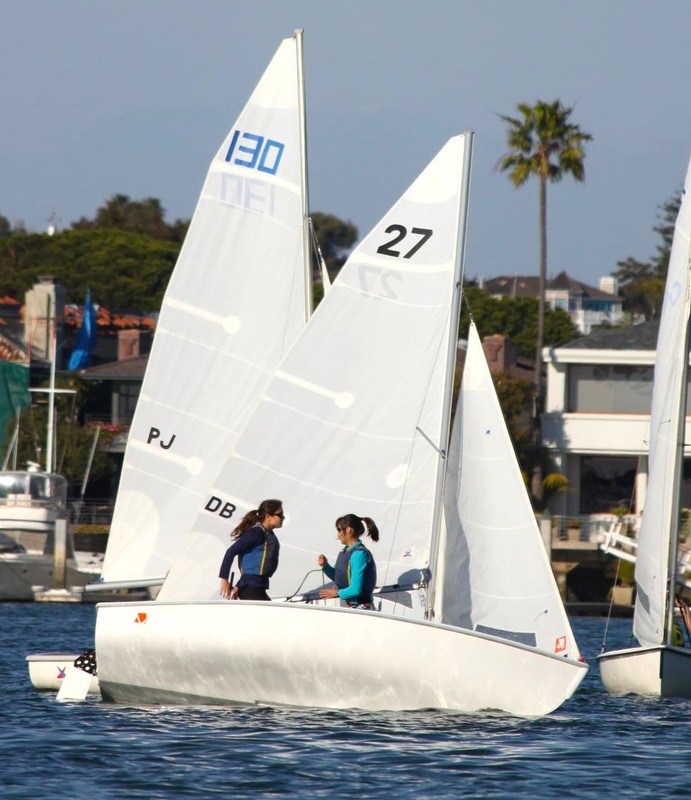 There weren’t too many regattas this month, but we do have results from the regatta formerly known as North/South, the fall PCCSC dinghy championships in Santa Barbara. Since it’s just one regatta, we’ll give it to you up front instead of a separate section below. 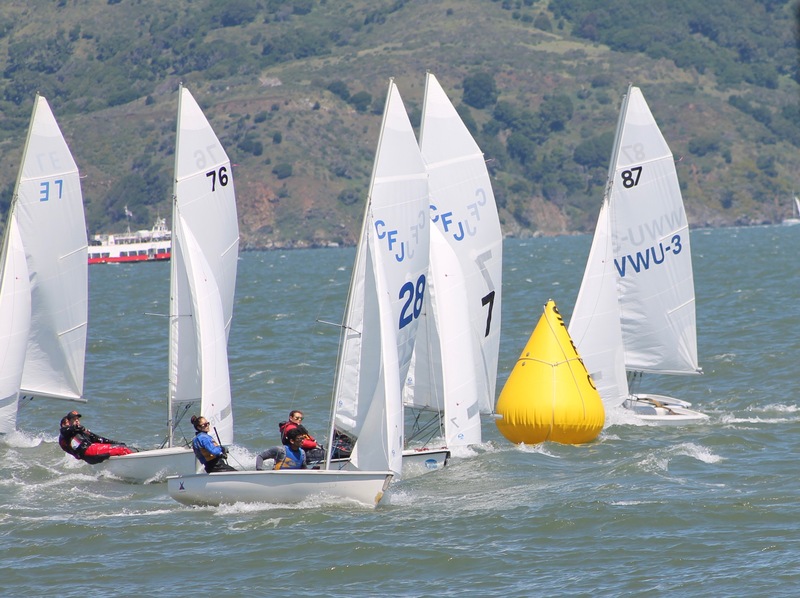 UCLA took 17th in this three-division regatta, with Emelia Pellicio (’13) and Erica Parker (’14) in A Division, Gabe Monti (’15) and Carly Olenick (’13) in B Division, and Peter Bailey (’15) sailing a laser in C Division. Stanford won this one easily, finishing with less than half the points of second place Hawaii. For the Bruins, Emelia and Erica finished on a strong note in an otherwise tough regatta, taking third in the final A Division race. One of the most frequent questions we get at FOUST is whether we have UCLA Sailing gear for sale. Although the answer is still not yet (but hopefully soon! 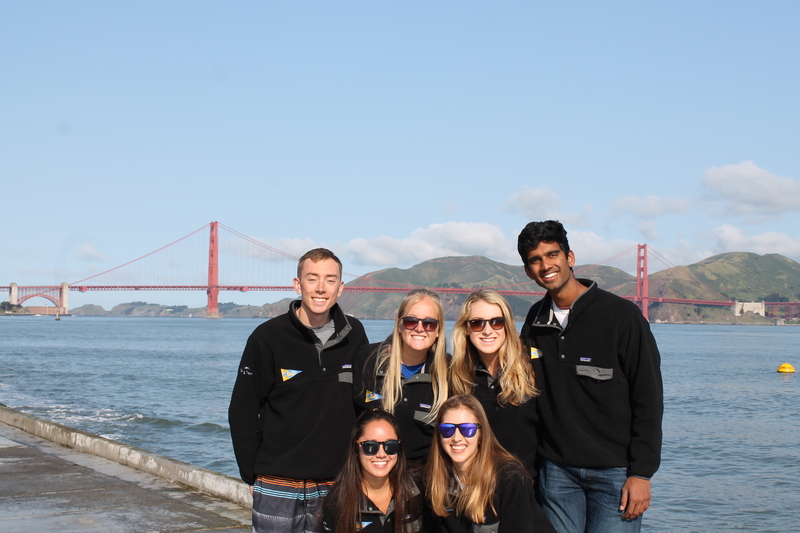 ), the team is bringing you the next best thing: a chance to get jackets embroidered with a UCLA sailing logo. (For real this time.) The Henri Lloyd jackets that the team is getting are apparently sold out, but alumni can order whatever jackets you want as long as you get them to Westwood before December 15. Embroidery will cost about $15, plus the cost of shipping to you after they’re embroidered. We would also encourage anyone who takes advantage of this opportunity to consider a donation to the team in return for their effort dealing with this. Please email us ASAP if you’d like to get something embroidered and we’ll give you the address to send it to. 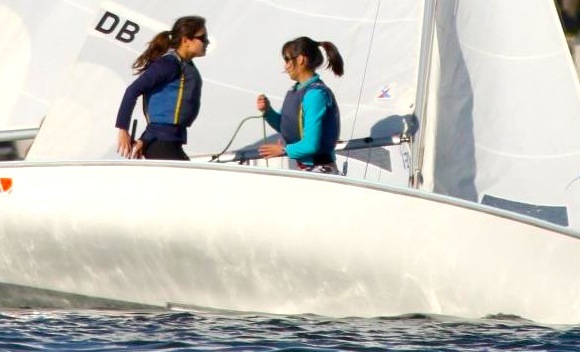 In other news, we’ve got a fundraising pitch from team captains Emelia and Erica for the team’s upcoming regatta in France, the Course Croisiére EDHEC. 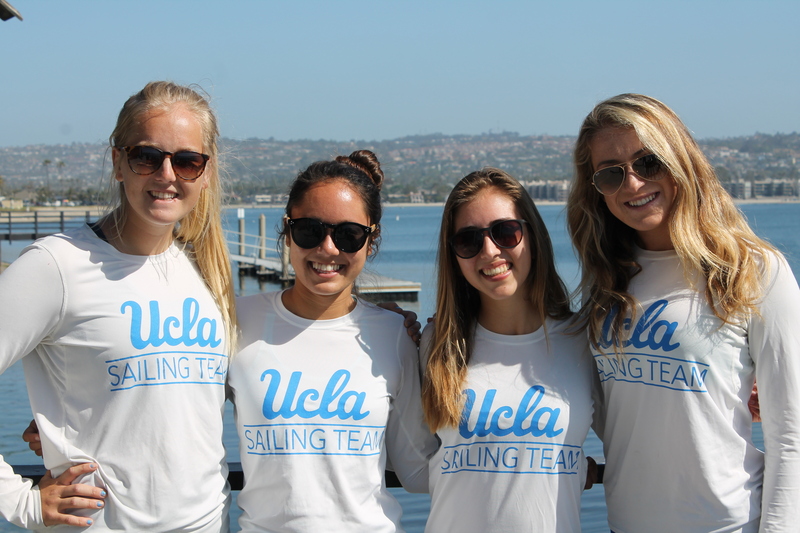 This keelboat regatta has become an annual tradition for UCLA, where the Bruins represent the U.S. at the largest college sailing event in the world. Please consider helping out if you can. Finally, we have the story of three UCLA sailing alumni who are starting a business to improve the distillation of sodabe (palm sap liquor) in Benin, West Africa, and import it to the U.S., while also improving the lives of local farmers.